Rasa Jukneviciene wants to make one thing clear — it's not just countries like her own native Lithuania in the cross hairs of Russian President Vladimir Putin. Rasa Jukneviciene wants to make one thing clear — it's not just countries like her own native Lithuania in Russian President Vladimir Putin's crosshairs. "The target of Putin are not the Baltic states. 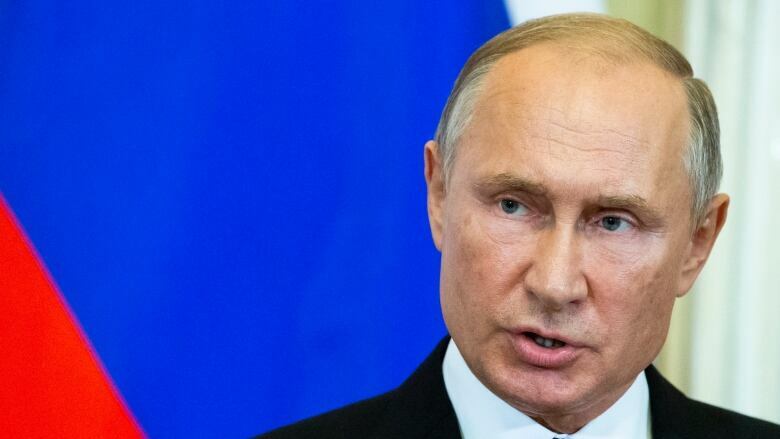 Putin's target is Western democracies," the head of the NATO Parliamentary Assembly, also meeting in Halifax this weekend, told Chris Hall Friday. "Putin's target is to attack NATO as a structure. Putin's target is for the EU to be divided." Jukneviciene is in Halifax as over 270 lawmakers from across the 29-member military alliance discuss security priorities, from strengthening deterrence to protecting elections from foreign interference. Broader military challenges, including Russia's violations of the Intermediate-Range Nuclear Forces Treaty and its muscle-flexing on NATO's eastern borders, also form a key topic of discussion for the group's annual session. "It's very difficult to fight when one side plays basketball with basketball rules, and the other side pretends to play basketball but in reality plays boxing or something like that," Jukneviciene pointed out. The former Lithuanian defence minister pointed to the poisoning of former Russian spy Sergei Skripal and his daughter in Salisbury in the United Kingdom last spring. "What does it mean, the poisoning of two people on the soil of Great Britain, on the soil of a NATO country, one of the most powerful NATO countries?" she said. "It means [the Russians] are using methods or tools that are unconventional. It's like KGB. Russia came back to KGB tools. At the time the name was Active Measures. Now we call it hybrid warfare."